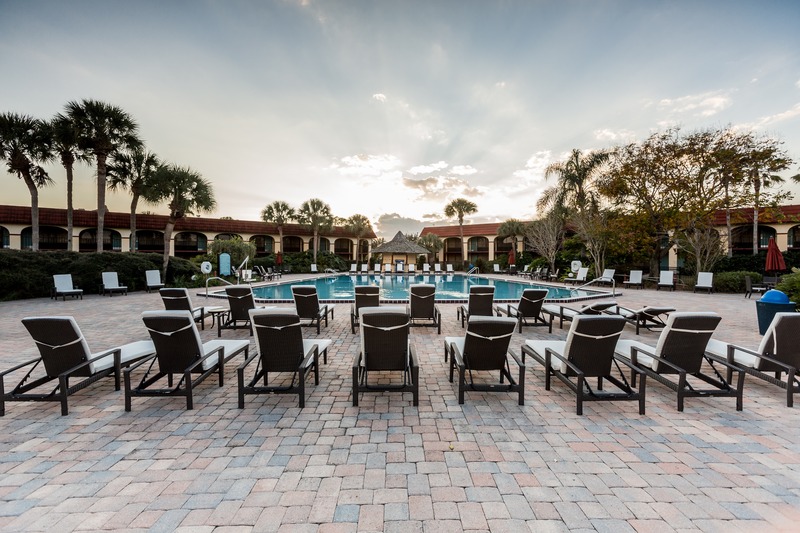 Everything you need to enjoy your next trip to the Orlando area is available onsite at Maingate Lakeside Resort, a quality Kissimmee resort near Disney. Complete with scheduled theme park shuttles, fitness room, three full-size swimming pools and a family arcade, our hotel amenities make our fun hotel in Kissimmee, Florida a destination unto itself. WiFi located throughout the hotel. Our beautiful and impeccable grounds pair pleasingly with the rest of our family-focused and well-maintained hotel in Kissimmee, FL. Featuring a wealth of family-friendly attractions, our hotel and its amenities are sure to keep the whole group entertained. You’ll thoroughly enjoy the atmosphere of a hotel complete with miniature golf, breakfast buffet restaurant (where 1 child 10 years and younger eats free per paying adult), a fitness facility, basketball court, and a whole lot more! Fun, excitement and relaxation await your visit at our family-friendly Kissimmee resort near Disney. Pet Deposit- $100.00 per stay (refundable), this is above and beyond $25.00 nightly non-refundable pet charge.